Following a successful crowdfunding campaign on Kickstarter, we need a dedicated intern for engaging with customers and campaign backers. We are building a test team of bicycle enthusiasts around the world (Team ZWATT) and want to provide them with the best possible experience. You will engage with them and make sure questions are answered, concerns are addressed, reach out through medias to more engaged riders and support our social media presence. Be our key driver on Facebook, Instagram, Twitter and YouTube. You know how to do that – and how to create the content. We have lots of stories, if you just know how to twist them and get the content out there. You will also work on improving the web sites to get message across – and – help grow our 5000+ passionate “Team ZWATT” power meter test team base and make them feel even more valuable. SENSITIVUS gauge is a startup – so things can be hectic. We strive to have a good and efficient workflow in everything we do. The team is small and tight. All of us directly see the results of our own contributions. 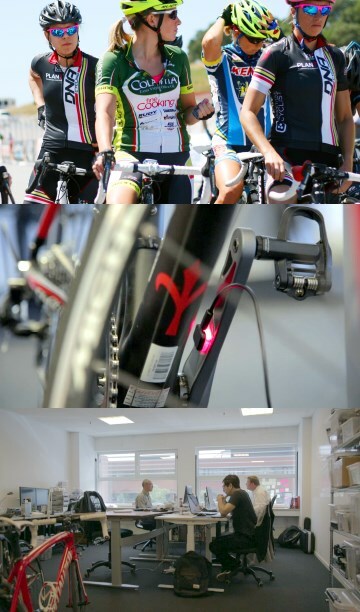 The technology developed is for measurement of power applied to the pedals of a bike. This has quickly become the number one metric to track for anyone serious about training on a bike. The market is quickly expanding and as a business we cater to both B2B and B2C in two parallel efforts. You can be part of this startup from a quite early stage and help new things to life. You are very confident in written English. Social media is where you feel at home. Creating/updating web pages in WordPress is routine tasks for you. This starts as an 8 week unpaid (preferably) full-time internship. Let’s see what comes after this… We are flexible and constantly changing. If you are interested in part-time, let us know. Maybe we can string something together for you. Send your CV/latest exam/grade results + a cover letter explaining why this is ideal for you (PS: Hurry up!!!). Check our Kickstarter campaign, Youtube channel and Team ZWATT pages for more about us.